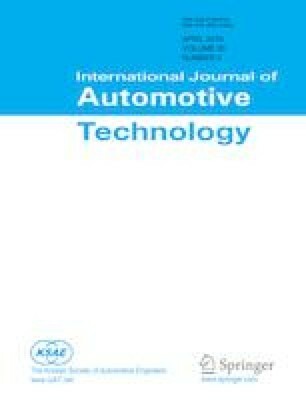 This paper proposes a development of the low-cost and capacitance measurement particulate matter (PM) sensor to monitor diesel particulate filter (DPF) failure. Compared to the resistance measurement PM sensor that is affected by ash accumulated between electrodes due to periodic PM regeneration, capacitance measurement method has the advantage of compensating with capacitance measurement even though the initial ash is present. To reduce the manufacturing cost, we fabricated the proposed sensor with alumina instead of zirconia as the substrate and reduced the sensing area by 26 % compared to the conventional PM sensor. As a result of evaluation, the response time of 5 min required to reach a threshold 50pF at the exhaust gas flow rate of 70 kg/h and PM concentration of 10 mg/m3. It is similar to the conventional PM sensor which takes 343 sec. Durability of the alumina-based PM sensor investigated through thermal endurance test, and the sensor features (C0, R0heater and response time) indicated no significant difference before and after the test.